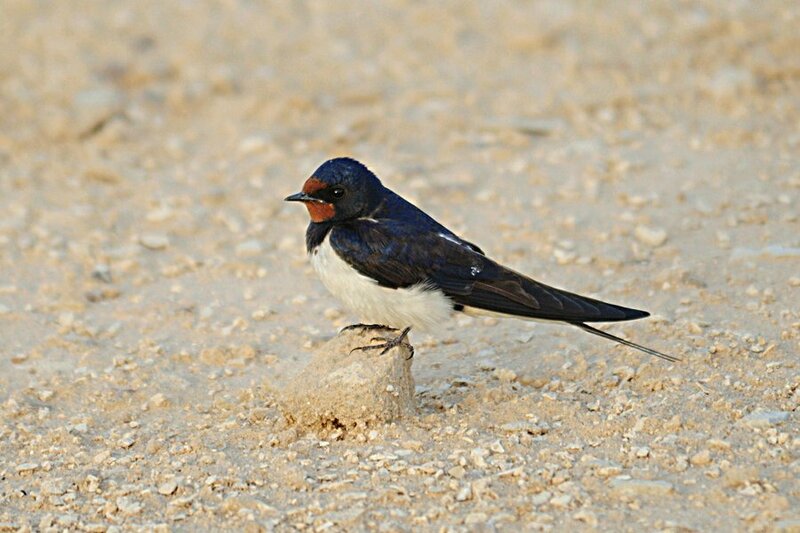 Migrants are still passing through Dhahran in small numbers and yesterday there were large numbers of Sand Martins and Barn Swallows. Some of the Barn Swallows were tired and were sitting on the ground in an exhausted state allowing close approach. At least 100 Sand Martins and 250 BARN Swallows were present and 25+ Pallid Swift were also around making quite a spectacle as many of the birds were in the air together over the pond. Trying to pick out a Brown-throated Martin from all the Sand Martins was a very difficult task and one I failed to achieve, which was not too surprising as this would be a major rarity in the region, but worth looking for. Water levels in the percolation pond are still very high with very few muddy edges exposed so wader numbers have remained low during the spring migration period so far. One consolation is that there are a number of wet areas outside the pond fence, due to water overflow from the pond, where birds are congregating. 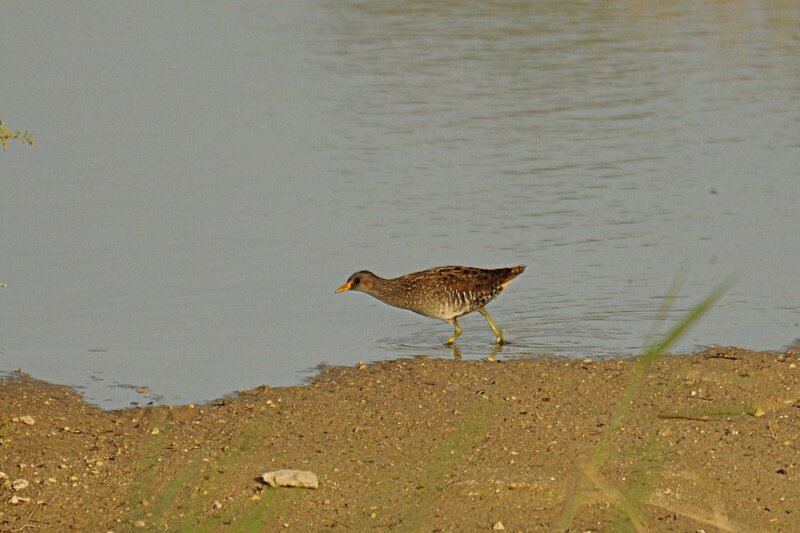 I saw three different Spotted Crakes on one of these wet areas all of which were on show at the same time. A fine male Black-headed Yellow Wagtail was also in the same area along with three Wood Sandpipers and two Black-winged Stilts. 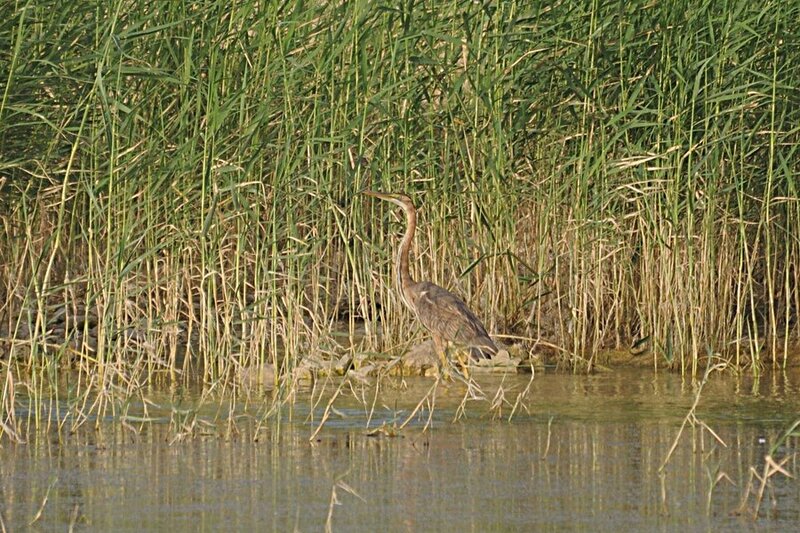 The pond itself is still relatively poor for bird although the reed beds are now growing back quite strongly and at least two pairs of Clamorous Reed Warblers are singing from them. 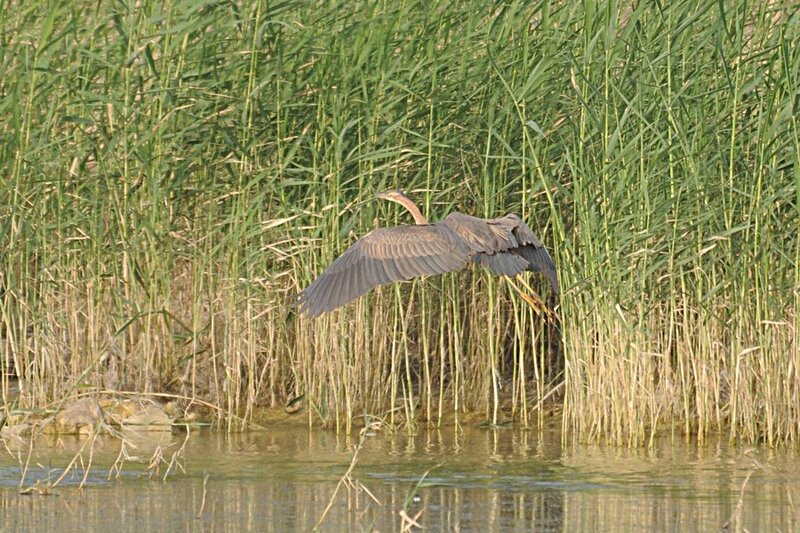 A Purple Heron was feeding along the edge of the reed beds and is the first bird I have seen this spring and the White-winged Tern was still about in its fine summer plumage, although is proving extremely difficult to photograph. A single Great Cormorant is all that is left of the 2500 birds that roosted at the site in the winter. The trees around the pond held good numbers of Willow Warblers and three Spotted Flycatchers as well as a couple of Turkestan Shrikes, two Daurian Shrikes and seven Bee-eaters. 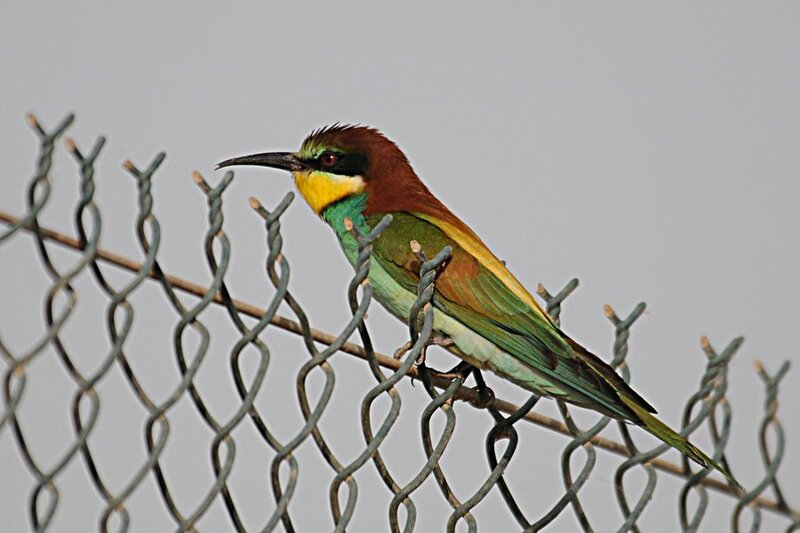 Many of these birds were flitting between the trees and the wire fence of the pond and allowed some good views to be had. Three Eastern Olivaceous Warblers are holding territories in this area as well, which is a much lower number than last year so let’s hope more arrive in the next week or so. The spray fields had three Turkestan Shrikes, three Daurian Shrikes and a fine male Woodchat Shrike, which is the first one I have seen for almost a month. Red-throated Pipits were present in small numbers and only three Ortolan Buntings were seen. 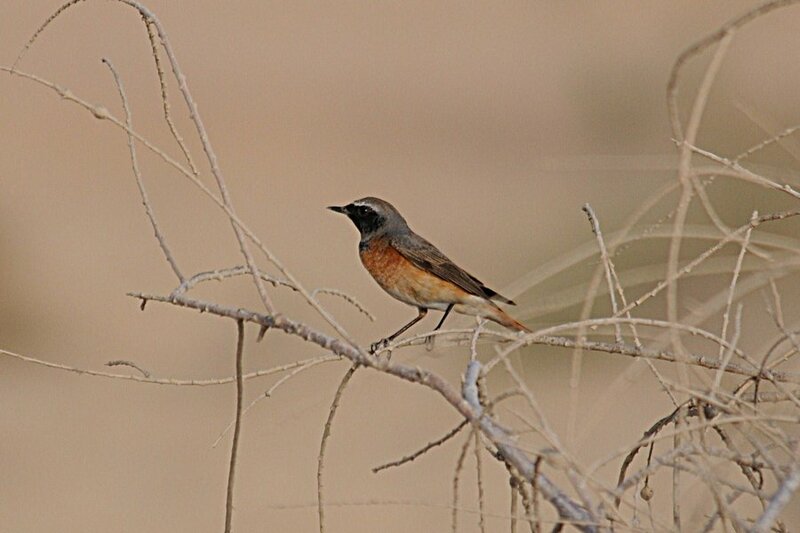 Four male Whinchats were showing well in their really bright colours and a female Marsh Harrier was sitting in the grass of the main spray field, which is not a common sight for Dhahran. 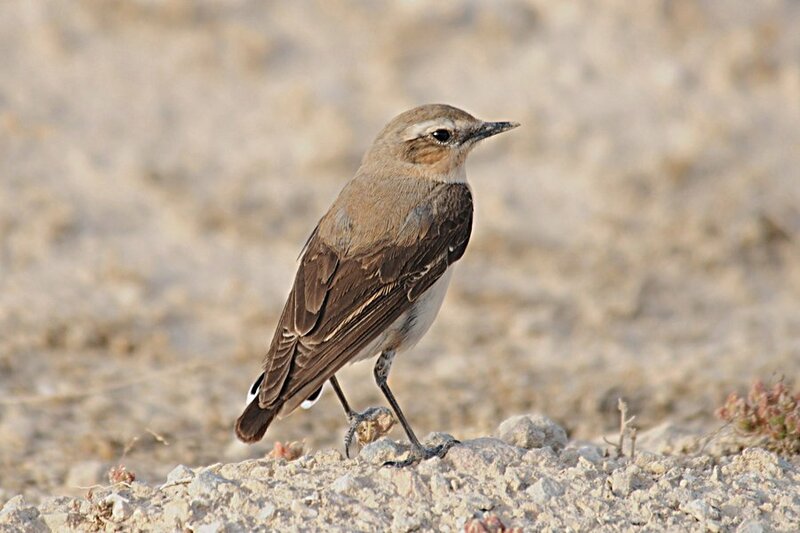 A single Isabelline Wheatear was also the first one I have seen for a few weeks and it was in the vicinity of two Northern Wheatears and a male and female Common Redstart which were sending most of their time hiding in the bushes at the edge of the field.